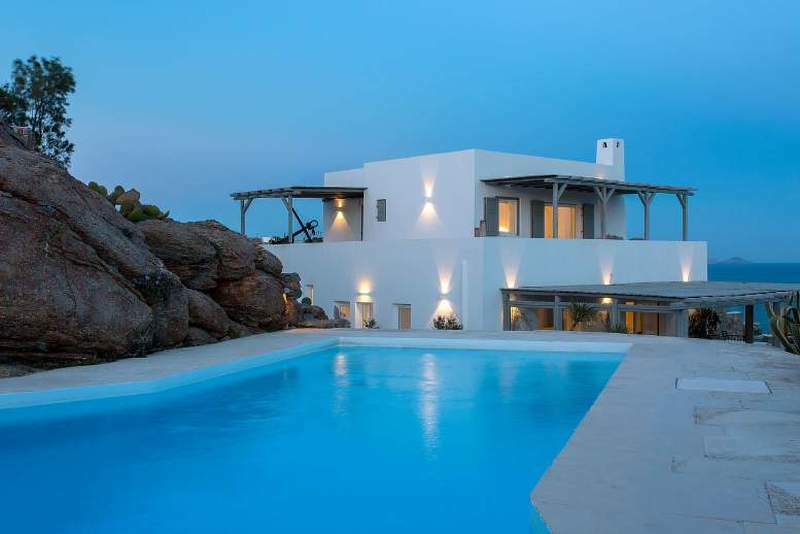 Virginia is the luxury Mykonos villa in Pyrgi, perfect for party holidays with your buddies. It is only 1.5 km from Super Paradise beach and 6 km from town center , so prepare to knock yourselves out with your group of 24! 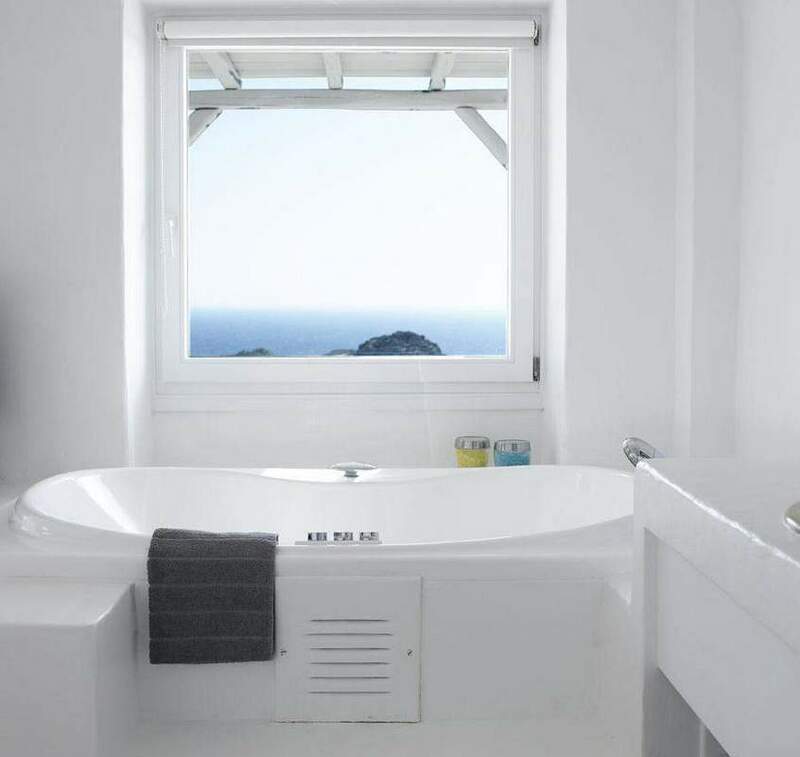 The villa can sleep guests in one main and two independent guest houses, so everyone can have ample of private space. The highlight of the villa is the outdoor area, where you’ll find huge dining area, bar and BBQ, and a beautiful 110 sqm. Swimming pool, next to a comfortable outdoor living room-lounge area covered by a pergola. Enjoy the view and take lots of selfies in the infinite blue. The luxury retreat is very modern with all kinds of facilities that will make you feel like being at home. Make sure you make the most out of your stay in Virginia. PS. The villa is part of a 2-villa complex, so if you are planning to come with a large group, it is perfect to arrange to stay next door! 1 bedroom with king size bed, a fully equipped kitchen, A/C, TV, bathroom with shower & sitting area with a big window and beautiful sea view.